One of the joys of social media (arguably the joy) is the ability to drop in on other people's lives and share their magic moments. I recently scrolled through my list and there was Milo James Fowler, smiling away with a book in his hand. How could I resist finding out more about his story, and the story behind his story? 1 What was your journey to publication? Back in 2009, I'd written a couple novels and queried them with agents, but there were no takers. I figured it might be a good idea to accumulate a few publication credits and maybe qualify for SFWA membership before I sent out any more queries. Then back in 2011, I started the Write1Sub1 challenge to write and submit 52 short stories in 52 weeks. 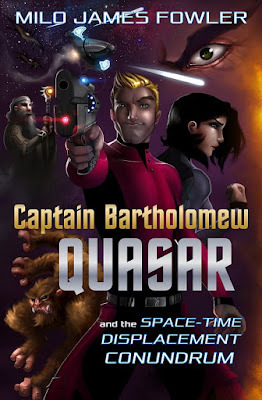 A year later, after a few of my Captain Bartholomew Quasar stories had been published, I was approached by Every Day Publishing regarding the possibility of a serialized Captain Quasar novel. Fast-forward to 2015: more than 100 of my short stories have been published, appearing in AE Science Fiction, Cosmos, Nature, Shimmer, and the Wastelands 2 anthology. It's been an arduous journey at times with many stories surviving more than a dozen rejections prior to publication, but it's been well worth the effort. 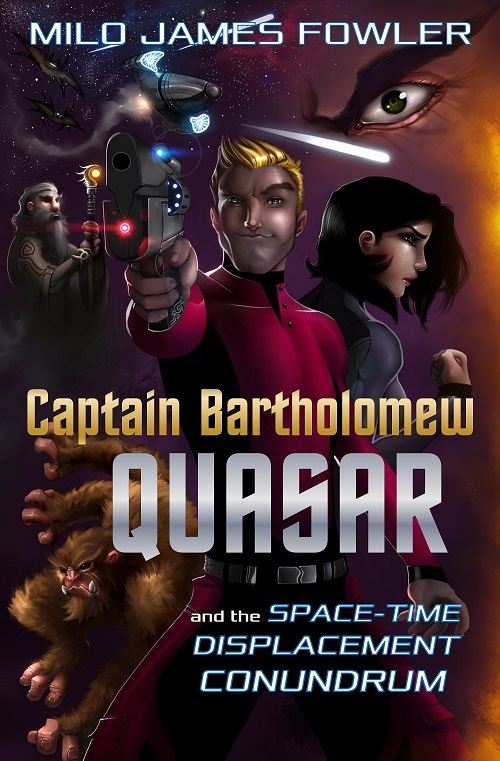 Seeing my first novel—Captain Bartholomew Quasar and the Space-Time Displacement Conundrum—greet the masses this month has been incredibly rewarding. 2 What appeals to you about sci-fi as a genre? I like being taken to worlds I've never been, but I also enjoy cautionary tales about where our world may be headed. 3 Do you feel sci-fi is marginalised? Not in my corner of the universe; it's all I read and mostly all I watch. But I usually realize I'm the exception whenever I find myself in conversations with friends and coworkers. Apparently, no one reads anymore unless it's a book on the airport bestseller rack, and all they watch is reality TV. 4 Which authors have inspired you? Ray Bradbury, first and foremost. His poetic prose is unmatched, and he inspired my Write1Sub1 challenge. I also enjoy Alastair Reynolds' body of work, as well as China Mieville's and Margaret Atwood's. I'm slowly making my way through everything they've written. 5 What is your writing process? I used to be more of a pantser, making everything up as I went along and often writing myself into dark, frustrating corners. But now in my old age (pushing 40), I've become more of a plotter. I'll sketch out an outline of major plot points ahead of time so I know where the story's going; then it's just a matter of connecting the dots during the drafting phase. That first draft is my sloppy copy; I vomit out the words and clean them up later. After half a dozen revisions, I present my work to my wife/partner-in-crime who lets me know how I can tighten it up. After another round of edits, it's off on the submission circuit where it will remain until it's accepted for publication. Or until the world ends. Whichever happens first. 6 Where can we find out more about your work? 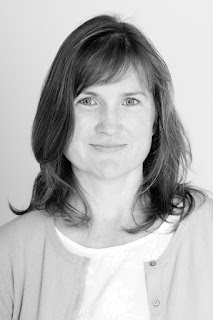 7 What's next on your writing to-do list? Snag an agent. Sell a few thousand copies of my novel. Sign a movie deal. Nothing major. Oh, and keep writing, of course. I'm enjoying myself too much to do anything else. 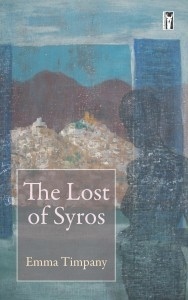 Emma, your debut short fiction collection, In The Lost of Syros, was recently published by Cultured Llama. How did you go about putting the collection together? In all, the writing of the stories (sixteen in all) took seven or eight years. My first short story was published in 2010; a year later, The Glasshouse Mountains won the Society of Women Writers and Journalists Short Story Award and the judge, Vanessa Gebbie, suggested I work towards a first collection. I looked at the finished stories I had (around six completed and another four or so in progress) to see if they shared any common themes and found that the characters were all, in some sense, lost and trying to find their way; another link was the work and life on the New Zealand short story writer Katherine Mansfield which ran in and out of the collection like a dark thread. Towards the end of 2012 I started submitting and was accepted by Cultured Llama fifteen months later. The Lost of Syros was published eighteen months after that. Do you keep a collection of ideas, or do you approach each short story with a blank page and see what develops organically? Congratulations on Flowers making the short list for the 2015 Bristol Short Story Prize. How did you choose that particular piece? I come from a family of florists and flower-growers and have been (sometimes reluctantly) a florist and flower-grower myself. I wanted to write about the role flowers have played in my life; the fact that Flowers has been shortlisted for the Bristol Short Story prize has encouraged me to explore this idea further. What is it that draws you to the short story form over longer works of fiction? The first short stories I encountered as a schoolgirl, by New Zealand writers Katherine Mansfield, Patricia Grace and Owen Marshall, made me fall in love with the form. I’ve never thought of short stories as less powerful or important than the novel or novella. I’m also intrigued by the idea that short stories are, by their nature, a subversive, experimental, marginal form. I like that the fact that I can complete a story in months rather than years, as is the case when I’m writing a novel. Which short fiction authors inspire you and why? There are so many short fiction writers I admire: Claire Keegan, David Constantine, Paula Morris, Jane Gardam, Kirsty Gunn, Jhumpa Lahiri, James Baldwin, Patricia Grace, Katherine Mansfield, Ernest Hemingway, John Cheever, Lucy Wood, Alice Munro, Jacob Ross, Jennifer Egan, Julie Orringer, Mavis Gallant, Deborah Eisenberg, Patrick Holland, Raymond Carver, Tim Winton – and that’s just for starters. They all inspire me because they write, or have written, great short stories. At the moment I’m working on the longer piece of flower-themed fiction (as mentioned above) and slowly putting together a second collection of short stories. In the coming months I’ll also be editing my novel, Travelling in the Dark. What are the great challenges in creating short fiction? What fascinates me about writing is how it gathers every aspect of living into itself. There’s something mysterious and hard to define about the creation of a story that I find captivating; the gift it offers is a rare kind of freedom. Do you have a blog or use social media?